On February 12, Deputy Foreign Minister and Russian BRICS Sherpa Sergei Ryabkov met with the ambassadors of BRICS countries. In light of India's upcoming BRICS Presidency, the ambassadors received copies of a final report on the results of Russia's BRICS presidency released by the Foreign Ministry. It covers the events and initiatives that have been supported within BRICS, the implementation of which will be launched during the Indian and, subsequently, Chinese presidencies. In compliance with the Terms of Reference for BRICS Chairpersonship, this report offers a clear view of the diverse spheres of cooperation in the interests of the BRICS countries in the period under review. "BRICS has strengthened its global standing as an important factor in international affairs and an efficient mechanism for harmonizing the five countries' positions on the modern-day pressing challenges. 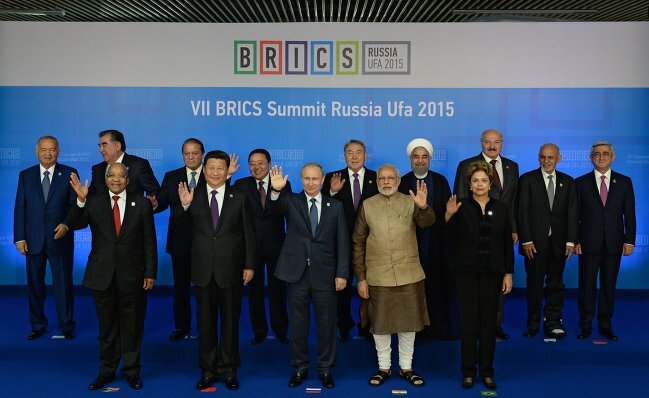 The Group has been continuously improving its extensive architecture of cooperation mechanisms intended to promote hands-on enhancement of the global financial system's stability and reliability and the strengthening of trade, economic and investment cooperation between the BRICS participants and with other countries," the report reads. The full text of the report you can find here.